Google is rectifying an error on its Google Glass website today by allowing certain locked-out owners to buy a second pair of its wearable computer. 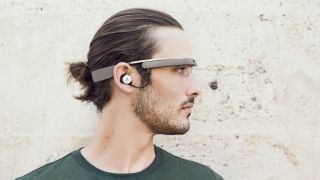 The glitch affected people who initially purchased Google Glass over the phone and weren't able to access Google's Glass-centric store for accessories. "You weren't missing anything before, but we have a few new goodies in there now," read an email from Google to the inconvenienced Glass Explorer, reported PhoneArena. The "a few new goodies" refers to the new mono earbud, the stereo earbuds and the clear clip-on glasses that are compatible with Google Glass 2. Google included an invite code so that these misguided early adopters could access the store for the new accessories. It also mentioned that a second Google Glass could be purchased by them. "In addition to the new earbuds that you'll find in our store, we'd also like to give you the option to purchase a second Google Glass," read the email. Google suggests ordering another for "yourself or a friend" who is looking for an invite into the Explorer program, but either way it still costs another $1,500 (about £915, AU$1,641) before tax. The final Google Glass price is much higher due to US state tax. In California, for example, the real cost of owning Glass is a painful $1,635 (about £998, AU$1,789). Yes, because Explorers weren't able to give Google more money for the new accessories since their rollout on October 28, they can now pony up that same amount all over again. Okay, Glass. Play Music: Google Glass pumps up the volume with Play Music app.